For the existing pension schemes of the liberal professions there is something else to consider. There are a few liberal professions which to be removed is unthinkable because of their importance for the national economy in order to fulfill certain functions in the general public interest, e. g. healthcare or judicature. The state does recognize this by giving the efficiency of these professions an importance that results in a comparability of the services of these professions and public services. Granting these professions own statues based on public law, providing them with self-governing bodies and transfering the administrational rights to their associations makes this obvious. 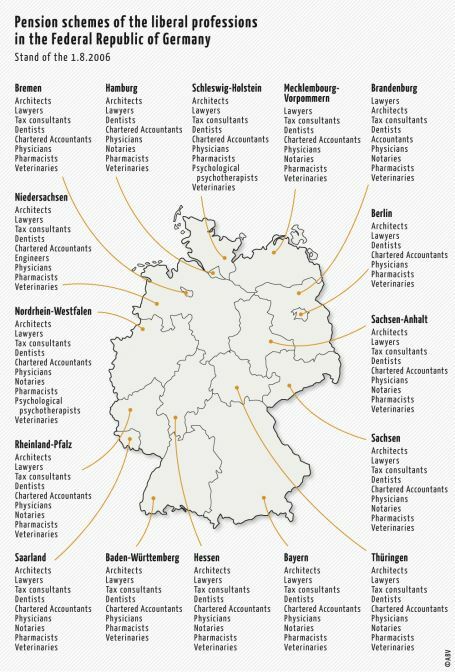 All of the existing pension schemes of the liberal professions are related to these classical liberal professions organized in professional associations. It is to be stressed already at this point that the concern for the public services which the liberal professions have to provide was one of the motives to build up pension schemes of the liberal professions. Their existance and their right to exist can neither be justified nor explained without this background of professional, social or structural political elements. 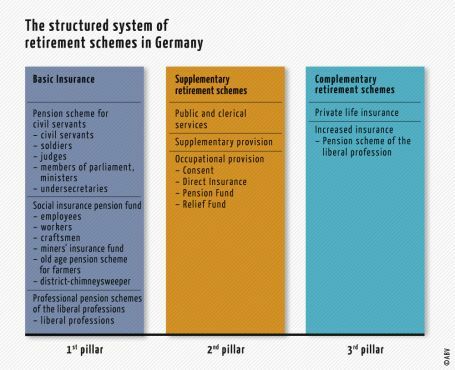 The professional pension schemes of the liberal professions provide benefits as a compulsory system based on public law within the first pillar of the system of social security in Germany. the systems of voluntary provision as especially the private life-insurance. 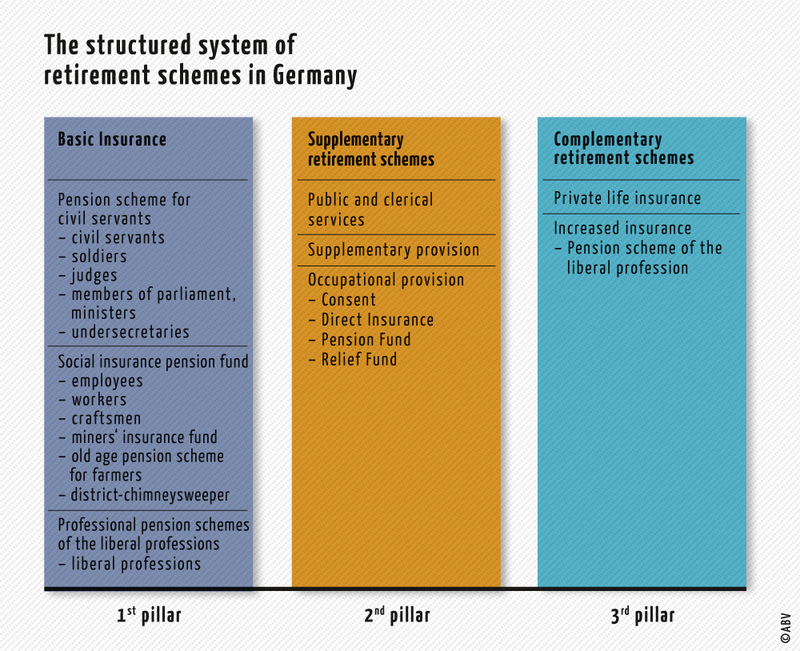 Altogether there are more than 90 professional pension schemes for the liberal professions. 89 of them are members of ABV in Cologne/Berlin, the association of pension schemes of the liberal professions.